Have you just completed your 10th standard (SSC)? You may be confused about deciding a right career path. You might have many questions in mind like What should I do after 10th? , Which stream should I select? Science , Commerce or Arts?, Which is a better field? Selecting the right course after class X is very important as this will have an important impact on what will you become in future. What Afer SSC Science or Commerce or Arts? A good option after 10th is studying +2 or HSC. It can help to secure a strong foundation for further studies like graduation and post graduation. The selection of the streams for 11th and 12th standard (HSC) depends upon the students aptitude but the most important factor is one’s interest in the subject and the purpose for selecting the course. Whether to choose science, commerce or arts stream is the most difficult thing to decide for students. Lets make it simple. Choose a field in which you have passion. Remember, no field is better or superior than other. It just depends on what you like to do. If you select Science stream, you have further 3 more options for selecting the subjects. You can select Maths or Biology from the optional subject. Some students opt for both Mathematics and Science subjects. If you want to become engineer then select Maths and if you want to go in medical field then select Biology. Instead of going for HSC (10 +2 years), you can opt for Diploma engineering after standard 10. Some fields that you can select in diploma are Civil Engineering, Mechanical Engineering, Electrical Engineering, Electronics and Communication, Computer technology, Information technology, Information & Control Engineering, Power Engineering, Mechatronics, Hotel Management and Cattering technology, Plastic engineering, Fabrication Technology, Chemical Engineering, Printing Technology, Ceramic Technology, Architecture Assistant-ship, Automobile Engineering, Metallurgy, Textile Manufacturing, Textile Processing, Mining Engineering etc. You will generally need to give an entrance test to get admission. Generally the Central diploma admission committee takes the exam. Apart from these, there are also many other options such as joining ITI, ITC, Indian Army, Navy and Police Force. 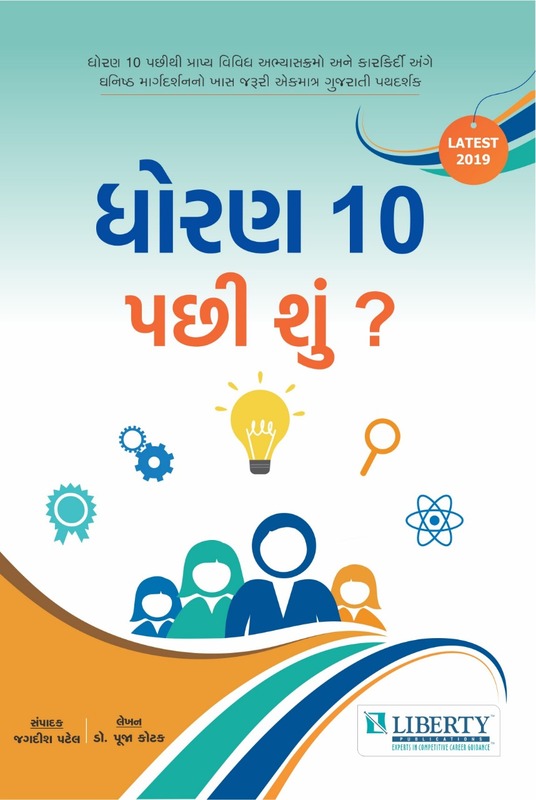 Gujarat Information department published career Guidance Book (Karkirdi Margdarshan). You can view or download this book in pdf format by below mentioned link. This book is published by Gujarat Information Department each year. You can get guidance for what after 10th and what after 12th.